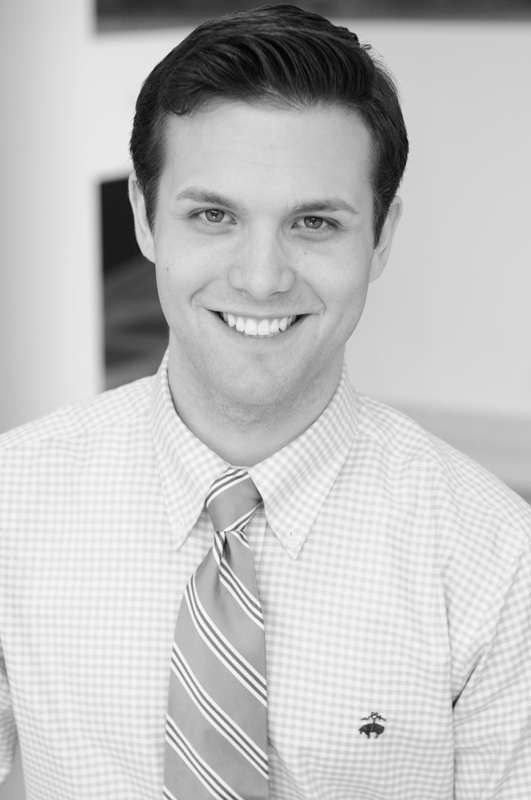 Today we wrap up our series of Young Artist Q&As with a chat with baritone Joseph Lattanzi, who sings Dr. Malatesta in the April 1 and April 7 performances of Don Pasquale. The Young Artists Program production of the Donizetti comedy opens tomorrow night at University of Washington's Meany Hall, and we talk to Lattanzi about his role, what skills a performer needs for comedy, and what is next for him in his career. At Seattle Opera’s recent gala, you sang the Pearl Fishers duet with William Burden. What was that like? It was great! It was the first that I had ever done that Pearl Fishers duet, and it’s such a great piece of music. So I was really happy to get to sing it, and really happy to sing it with Bill, who has done that role all over the world. It was really daunting for me because I knew I had to try and get to his level really fast, but it was great experience and he’s such a nice guy and a really great mentor for a young singer. He’s really got everything it takes. He’s a great actor, a great singer, and a great person. 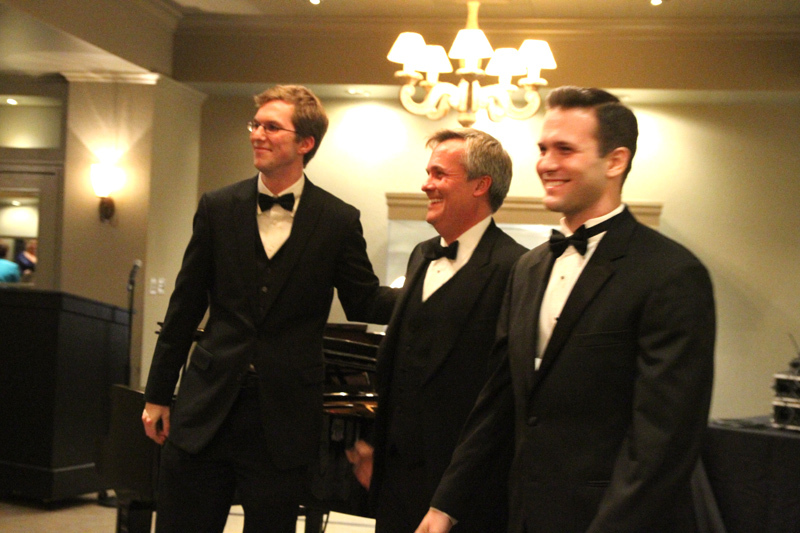 Young Artists Christopher Lade and Joseph Lattanzi with tenor William Burden at Seattle Opera's 2012 Gala, "A Perfect Pairing." This opera is basically a cautionary tale warning against marriage (“Marriage is nothing but a heap of trouble,” everyone sings at the end). What do you think? Well, I think this opera is really about the wrong kind of marriage, in particular, and cautioning against marrying for the wrong reasons. Pasquale says at the beginning that he really just wants to marry someone to spite Ernesto, because Ernesto wants to marry Norina and he doesn’t approve. My character, Malatesta, shows Don Pasquale what a rash decision that was, and that he’s misguided. So I don’t know if it’s a cautionary tale against all marriage. Have you sung any of the music in Don Pasquale prior to this production? Yes, I’ve sung the aria “Bella siccome,” which is one of the arias that people often give to young baritones because it’s really conducive to learning line and style and you can work on your Italian language through it. It’s one of those things that people hear a lot, so it’s hard to turn it into something really special and professional and get away from the amateur side of things. When you’re young and you work on an aria, things get ingrained. So after singing this for several years, I had a lot of habits I had to change and I had to modify the way that I was thinking about the role to fit in to how we’re doing it here in this production. I’ve also performed the duet with Norina and trio with Norina and Pasquale, both at the Chautauqua Institute a couple years ago. 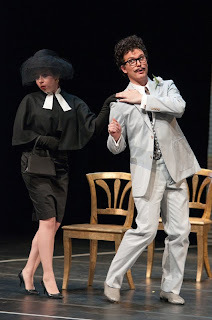 Lindsay Russell as "Sofronia" and Joseph Lattanzi as Dr. Malatesta in Don Pasquale. Like Albert in Werther, who you sang for us last fall, Malatesta is a bit of a two-faced character. Do you prefer these more dramatically complicated roles to a character who is simply good or bad? Yes, I think I do prefer them more. These types of roles have a lot of emotions to play and different ways to act around different people and things like that. But I have not met an opera role that has not been challenging yet. [Laughs] Even if they’re not two-faced or dramatically as interesting, nothing is really easy to play on stage, and there are always so many factors. Have you played much comedy? How do the skills differ from those it takes to perform something like Carmen, which you sang on the mainstage last fall? I went to a performing arts high school outside of Atlanta where I grew up and we did a lot of musical theater and musical comedy there. And then in undergrad, I performed in Così fan tutte, and I also did Papageno, so those were comedic. Those roles do differ from the more dramatic roles—but my character in Carmen wasn’t so dramatic. Moralès gets to have fun, and that was a fun role for me. But, yes, the skill set for comedy is a little different. You have to have your wits about you and know what you’re going for but at the same time everything has to look very easy and spontaneous. When the performance looks planned, it’s not so funny for the audience anymore. You have to keep everything fresh while still hitting all your marks. Joseph Lattanzi as Moralès and Sarah Larsen as Mercédès in Carmen. Are there any roles in particular that you really hope to get to perform someday? Oh, gosh, there are a lot of roles I really want to do. I’ve done a lot of Mozart (in school) and I was really lucky to have sung Don Giovanni. I’d really love to go back and do that again, because that a role that keeps evolving as you bring more experience to the table. 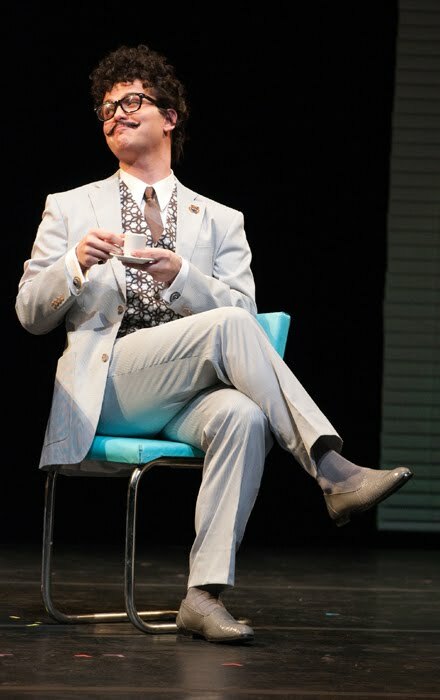 I would also love to do Figaro in The Barber of Seville. That would be really fun down the line, maybe in a couple years. What has been your favorite role you’ve sung so far in your career? I think I would say probably Don Giovanni. But this one, Dr. Malatesta, is shaping up to be one of my favorites because it’s really fun to sing. There are a lot of opportunities for showing off and it has legato singing, ensemble singing, and solo singing, so it’s really got everything. Don Giovanni was really fun, and so was Guglielmo in Così fan tutte, which I did at Oberlin when I was a student there. Don Giovanni was also through Oberlin, but as part of the Oberlin in Italy program. How fun! Was that your first time in Italy? Yes, and I loved it. I have family lineage in Italy, so it was great to be there and also it was a really cool place to spend the summer. I went two summers ago and was there for maybe six or seven weeks for the Oberlin in Italy program, which was in Arezzo. Afterward I went to Paris for 10 days, as a vacation, because I’d always wanted to visit. Joseph Lattanzi as Dr. Malatesta. I’m going to be at the Merola Opera Program this summer with San Francisco Opera and I’m doing a role in Postcard from Morocco called The Man with the Shoe Sample Kit. It’s the baritone role in that opera, and it’s an ensemble piece for sure. Everyone has a lot to do and it has challenging music, by Dominick Argento. So I’m trying to learn that right now. It’s going to take a lot of time. Some of the more modern pieces take a little longer to get in your brain, but it’s in English, so that’s nice, and it’s just a cool piece. I think it’ll be exciting!